202 spacious suites with separate bedroom and living space. Entertain in spacious luxury in these 950-square-foot, one and a half bath elegant Atlanta accommodations. Our generous suite offers separate sitting, dining, and work areas, perfect for hosting business meetings or small gatherings. Work through lunch with delicious catering by room service as you and three colleagues spread out at a modern marble-top conference table. Amenities include 1.5 bathrooms with Andis hairdryer, sofa bed, wet bar, microwave, two TVs, plush robes, generous work desk and Wi-Fi. 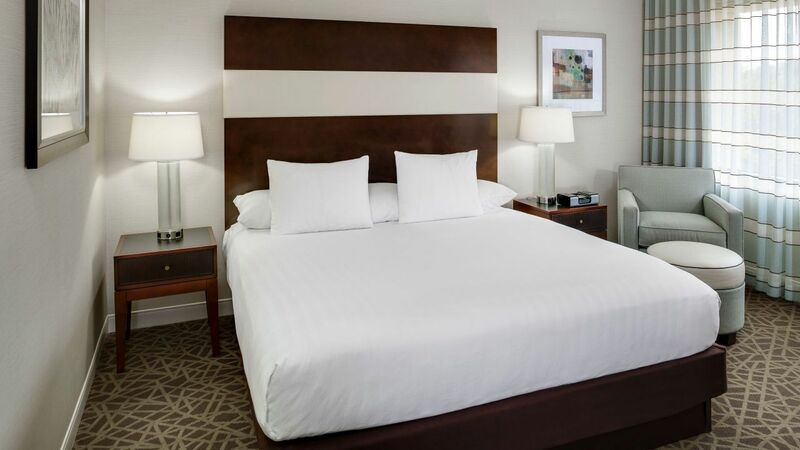 The bedroom of these regal Atlanta accommodations features a king bed fitted with ultra-plush pillows and the softest sheeting all piled atop an irresistible pillow-top mattress. Complimentary coffee, large windows and warm décor add the finishing touches to this special hotel suite This is a standard suite. See World of Hyatt program terms for upgrade eligibility. 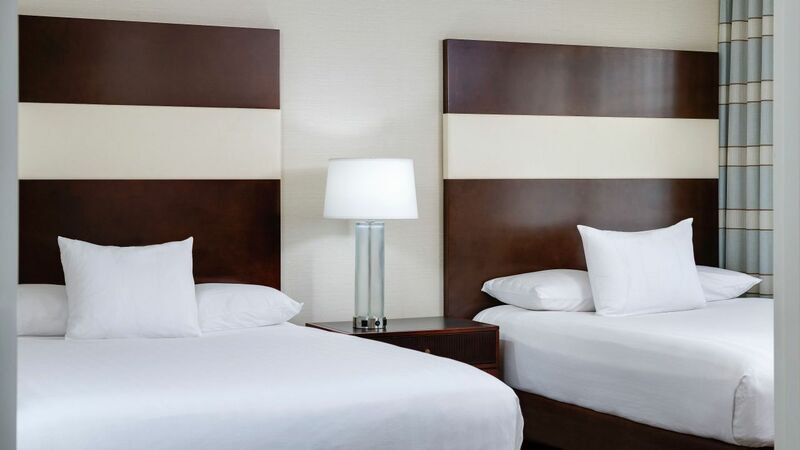 Stretch out in pampering comfort in our all-suites, 650-square-foot Atlanta accommodations. City or pool views complement deluxe amenities, including a wet bar, microwave, two televisions, sofa bed, Andis hairdryer, Wi-Fi and generous work area. Each suite features separate sleeping, working, and dining areas, ideal for family travel or when you simply want to feel more at home. 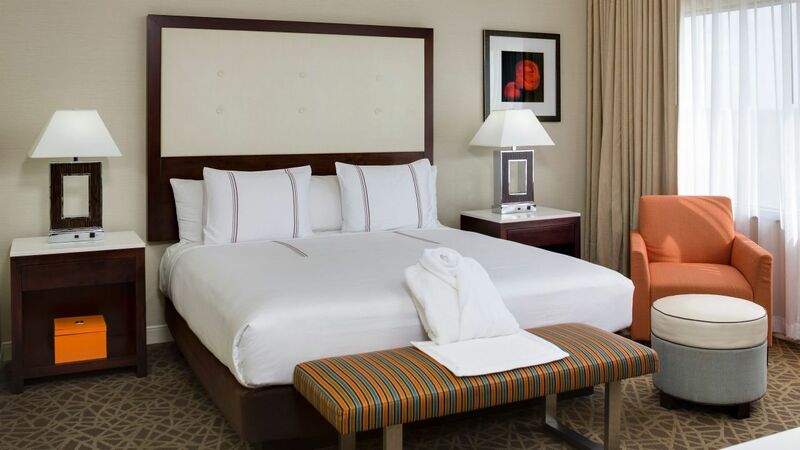 Enjoy a great night's rest in a king bed fitted with ultra-plush pillows and the softest sheeting all piled atop an irresistible pillow-top mattress. Complimentary in-room coffee and inviting décor add the finishing touches to these inviting Atlanta accommodations. 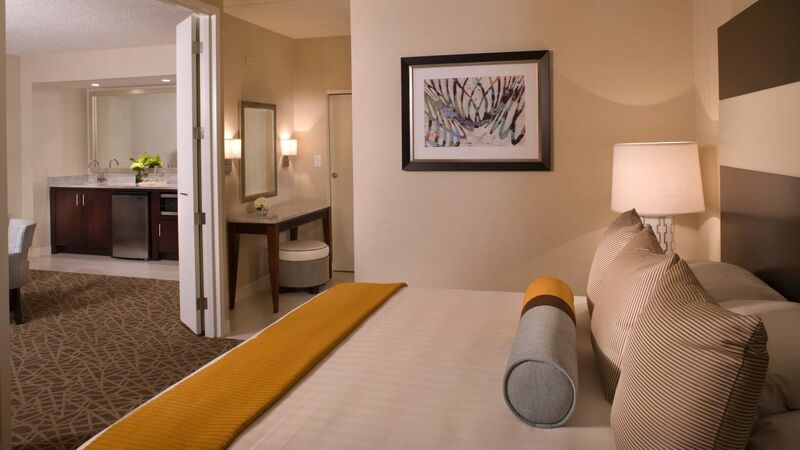 Stretch out in pampering comfort in our all-suites, 650-square-foot Atlanta accommodations. City or pool views complement deluxe amenities, including a wet bar, microwave, two televisions, sofa bed, Andis hairdryer, Wi-Fi and generous work area. Each suite features separate sleeping, working, and dining areas, ideal for family travel or when you simply want to feel more at home. Enjoy a great night's rest in two queen beds fitted with ultra-plush pillows and the softest sheeting all piled atop irresistible pillow-top mattresses. 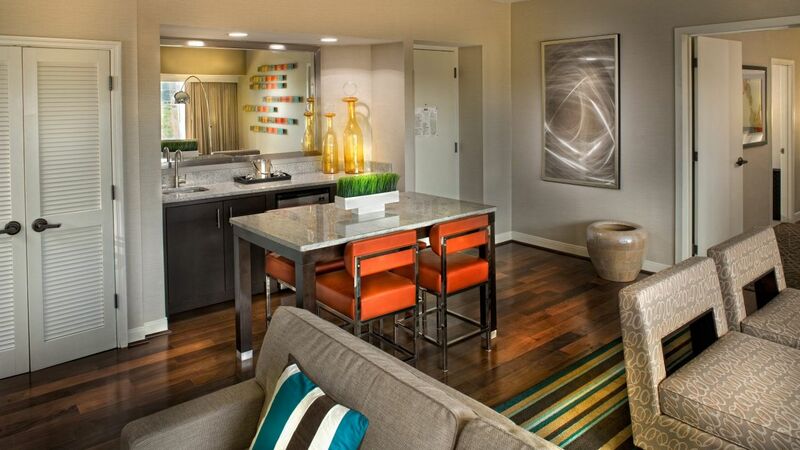 Complimentary in-room coffee and inviting décor add the finishing touches to these inviting Atlanta accommodations.